OnePlus has a strong community following and their close-to-stock OxygenOS is adored by common users as well as developers. The Shenzhen-based smartphone maker maintains three different channels for OxygenOS AKA OOS: Closed Beta, Open Beta, and Official Release. The ‘beta’ moniker is certainly an indicator of possible glitches, but bricking and/or bootlooping phones would be considered with more weightage. Unfortunately this was the exact reason for which OnePlus forced to halt their latest Open Beta builds for OnePlus 5 and 5T. 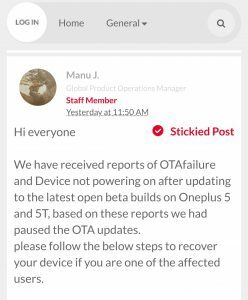 Manu J., Global Product Operations Manager of OnePlus, advised the critically affected users to visit the local service center to revive their phones. More experienced users can also opt for remote assistance via official support. Team PiunikaWeb already published a separate article yesterday on the symptom of bugs and possible causes behind them. We even highlighted that the issue probably lied within the incremental update, not the full one. 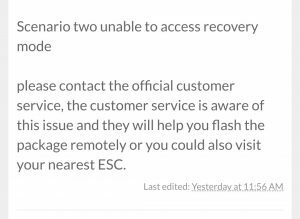 OnePlus apparently accepted the proposition and has offered full update zips for users who can still access recovery. Community members from OnePlus official forum, XDA, different subreddits and Telegram groups reached to us and we are thankful for their feedbacks. After following the scenario for quite long, we have spotted a number of prior incidents where OnePlus repeatedly missed the quality control. 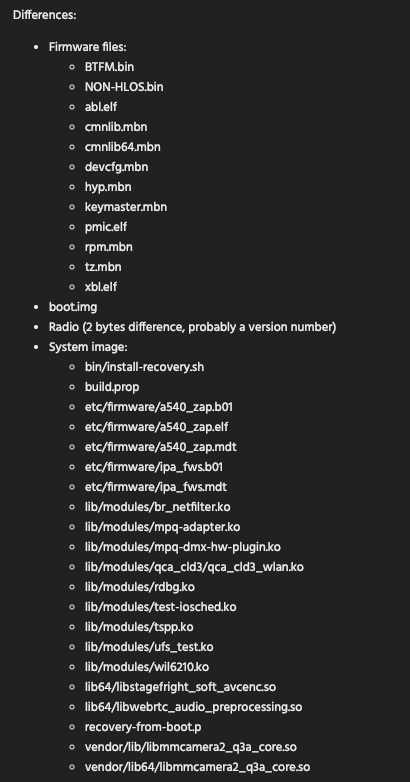 It uploaded downright separate builds on the support site, compared to the one distributed via OTA, under same tag. Both the Open Beta and Official Release builds are distributed via a public FOTA framework, which contained multiple loopholes and thus reverse engineering was possible. It led to the development of Oxygen Updater, and the author is also associated with it. Apart from distribution via FOTA framework, OnePlus is one of those few OEMs who actually cares for power users and uploads full firmware to their support site. On August 1, 2017, OOS 4.5.7 for OnePlus 5 started to rollout. Hilariously, OnePlus engineers uploaded OOS 4.5.5 as 4.5.7 on their support site, which started confusions among end users. On October 4, 2017, OnePlus started the rollout of OOS 4.5.11 for OnePlus 5. After couple of days, they uploaded it on the support site. 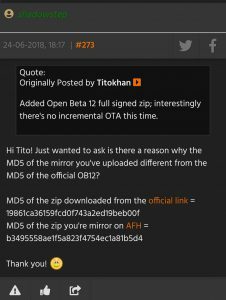 XDA member Legend_dimebag notified the author about the potential difference between the full OTA zips. 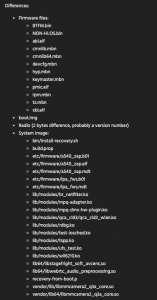 Another XDA member Fif_ and the author independently analyzed the contents of two zips and found that the zip uploaded on support server is couple of days older, thus came with older builds of firmware and slightly older kernel. Similar thing happened with Open Beta 12 for OnePlus 5, which was announced on June 13, 2018. Although the two different builds were compiled on same date, the zips were different due to different firmwares inside. XDA Recognized Contributor shadowstep and the author independently discovered the anomaly. shadowstep struck again as his x-ray eyes spotted similar irregularity with OOS 5.1.7 for OnePlus 5. The build was announced as a hotfix of OOS 5.1.6 in late October, 2018. OnePlus’s OTA update engineers are clueless again and push different daily build (which is based on same build number) on the download page. The differences in the build date is easily spottable: the original zip was compiled on 5th November, whereas the new one was compiled on 6th. You may be curious about the consequences of these apparently ‘minor’ mishaps. 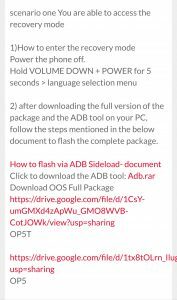 Impulsive users often flash the builds uploaded on the official support site, and with these faulty ones, they won’t get any incremental (smaller) OTA update afterwards. Not only so, this sloppy behaviour from OnePlus’s OTA management team leads to confusion among regular users. TL;DR: Don’t jump on the OTA update bandwagon with your daily driver.